A dental crown is a cap that Dr. Cooper uses to protect a tooth that’s been damaged by trauma or extensive decay and restore it to full function. Crowns are also used to restore a tooth and prevent any future infection following root canal therapy. Our crowns are made from porcelain, a strong material that naturally reacts to light the same way your teeth do. They’re custom made to match the size, shape, and color of your teeth so they’ll blend right in with the rest of your smile. Sometimes a crown is used to restore a severely stained tooth that’s resistant to whitening. Getting a beautiful new crown to protect your tooth will require two visits to Contemporary Dental Arts. 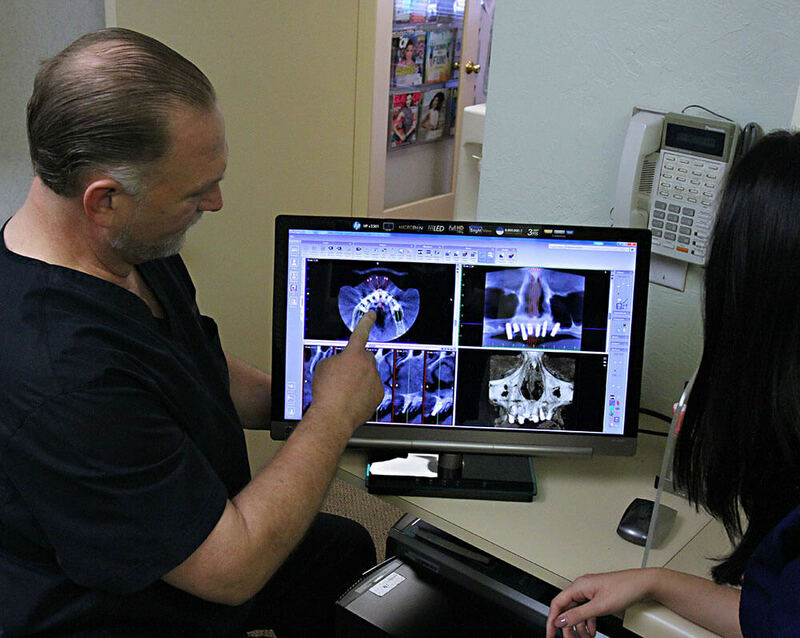 During your first visit, Dr. Cooper will take an impression of the tooth. The impression will be sent to a lab where the crown is made. In the meantime, you’ll wear a temporary crown. These crowns are usually made of plastic. Temporary crowns are not meant to last. If it’s left in the mouth, the adhesive will eventually wash out. This will allow bacteria to get inside the tooth, which could cause it to decay. Once your crown is ready, you can return to our office to have it placed. First, Dr. Cooper will remove the temporary crown. Then he’ll use special dental adhesive to attach your permanent crown and keep it firmly in place.